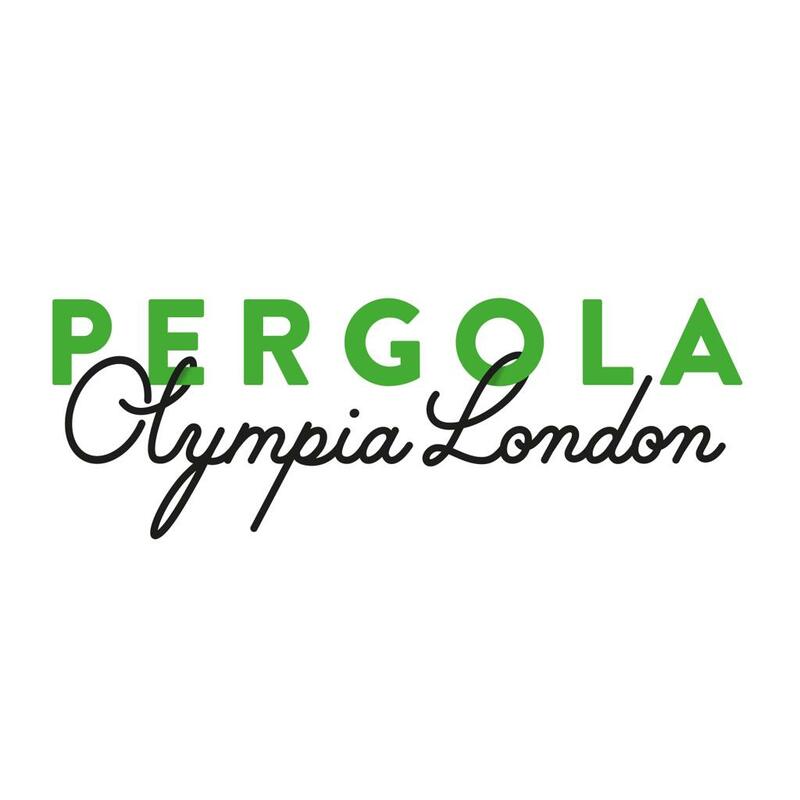 Never before has the historic Olympia London had a venue built on its roof, until NOW. Introducing our brand new botanical bolthole, located in Kensington Olympia. We’ve taken inspiration from our flagship concept Pergola on the Roof and combined a new botanical look and feel, mixing overgrown ivy and botanical planters with a modern interior of exposed brickwork and rustic furniture. Seating for 500 diners, 3 self-service restaurants, 1 bountifully stocked bar, floor to ceiling glass walls, heating for those winter months and one fully protecting roof. Joining us on the roof are legendary Patty & Bun (of course!) and new kids on the Pergola block, Claw and Passo. Three of our favourite restaurants, offering up London’s finest seafood, pizza and burgers. Was so hot- hotter than outside. Was told my staff that ac was broken but apparently it was working? Looks amazing, food is good though I didnt try everything. Slightly on the pricey side. Fantastic venue. I will return time and time again. The security staff at the entrance were so rude and abrupt. We had bought a couple of cans of gin and tonics which we had not opened and left by the bin prior to entering the venue. The security stated that we had been drinking and wanted to see evidence of the unopened cans. I was asked to go and get the cans and showed them the cans and they still continued to be so rude,  at this point we considered not entering the venue due to the poor and rude service by the security. In the venue the atmosphere was lovely and th drinks were really nice but slightly expensive. There did not appear to be any air circulation so it was very hot in the bar. Great way to spend bank holiday in the sunshine. Not too loud either! Music could have been louder and there needs to be more ventilation as it was so hot. Food was great and the fact a smoking area has been added for upstairs is good! Drinks were over priced, either that or the guy at the bar ripped me off massively (1 glass of a cocktail, 1 glass double vodka soda & lime and soda & lime without alcohol= £40). Would expect that in Soho, but not in west London.. which is a bit of a shame as the music and vibe was actually great. Very well organised, minimal time waiting for very tasty food and drinks. A fantastic bottomless brunch! Happy hour is good although not advertised. Good is an over priced rip off. So many better pubs with good food in the area I wouldn’t bother again! Super loud - had thought it would be open roofed to enjoy the summer evening, didn’t realise it was ‘inside’ so spent a lot of time shouting at each other but decor was beautiful and staff and food were great so still enjoyed the night. Nice atmosphere, a bit disappointed the hostess wouldn’t take us to table but only showing us by directions, we couldn’t pay cash and the website doesn’t say that and also it was very hot my friends and I really couldn’t breathe at one point . Service was  alright and I found the drinks price bit expensive but they also have a big selection on the menu, could be a lot better for the beauty of the venue. We had a great time at ginsday, the drinks were all great. The only down point was that when I booked the drinks were included until 9:30pm, then I had an email to say until 8:30pm and when we went to the bar just after 8 were were told it stopped at 8pm which was a shame. It's a shame that the two food outlets that hardly had any of the menu items available seeing as you can only get food from them. One of the bar staff members didn't seem like he even wanted to be at work giving such a shocking service. The venue is amazing and had a great atmosphere, however we found the service from management not great. Bar staff were quick and friendly, as were the food vendors. However when we were seated, the manager came over to my table more than once to ask how many people we had, as he was concerned that we had too many buckets for the bottomless option, I beleive 1 bucket per 4 people if fine (as there were 16 of us), however the manager constantly asked how many people were in our party, then asked others, if he didnt believe one guest. People had gone to the toilets or smoking area, so he could have checked the booking as he was worried, but said he did not need to. I don't think that kind of harrassment is necessary, and if they are concerned with it, there should be some more organisation with the distribution. I would still come back to the venue as its so beautiful and we did have fun, but some manners and customer service training wouldn't go amiss. It’s completely unfair to ask people to arrive early and only have one person on reception taking payments. Despite being in the queue 10 minutes early, we weren’t seated until 2.45pm. Our table for 8 had only 5 seats on so we were left to walk round asking people for seats. Before the bar closed, we asked for a bottle of prosecco and was asked to bring the bucket. We complied and came back with the bucket under a minute later to be told the bar was then closed. The 3rd for venue was closed (which is the one with pizza and the one we were most looking forward too! A beautiful venue with a lovely atmosphere but the food queuing situation isn’t fair. When offering bottomless for 2 hours, more needs to be done to ensure people receive the 2 hours! Having booked a table for 18-22 people, it could only really fit on around 10. A bit pointless if most had to stand. Seems more of cramming in as many people as possible over quality. Advertises 3 restaurants, when only 2 are open. The Paddington venue and the former Shepherds Bush one are better.